It’s my first font Pribor was made under the impressions of the old electrical appliances and other devices from USSR in 80th. 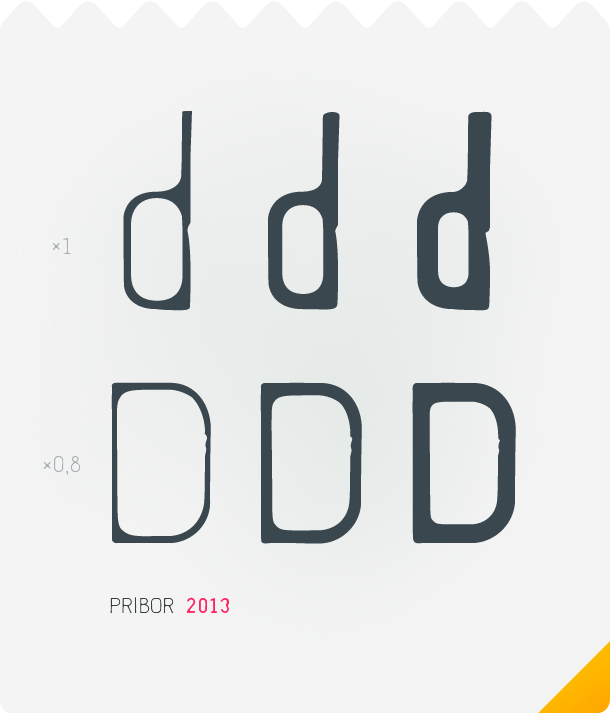 Pribor has a minimalistic, simple and slightly «used» lo-fi style. Retro mechanic style, good readability and perfect-looking at different sizes allow it to use for logos, print, web, apps, game design etc. Come with 3 styles: regular, bold and light. Include main Western, Cyrillic and German symbols. 885 Glyphs over all (295 glyphs x 3 styles).